Today’s shop update is a celebration of spring! 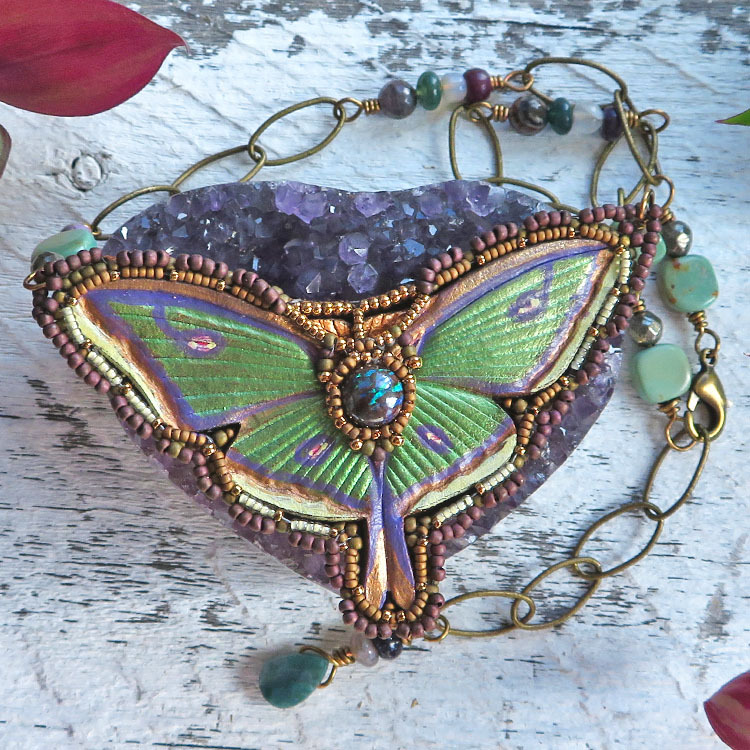 It’s an explosion of colorful butterflies, birds, flowers, and jewels. Like most artisans my work tends to mirror my interests, and this collection is no exception. My garden is my happy place, and these pieces are a clear reflection of the fact that it’s finally warming up enough for me to get back out there to start planting again. For my east coast friends who are still slogging through snow and ice, perhaps these creations can serve as a symbol of hope – it may not feel like it at the moment, but spring is coming! These offerings include a variety of leather barrettes and hair slides, as well as a few pair of hand crafted semiprecious stone earrings. You can find them here, and I do hope you’ll enjoy them! These earrings have a super springy vibe, with those leafy dangles and blossom-like stones. Apparently, they’re also all about the letter “A” – with amethyst, amazonite and African turquoise accents.